Welcome to Maximum Roller shutters. 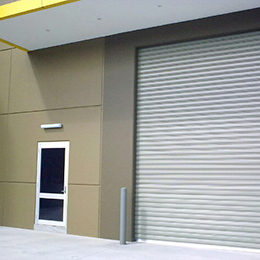 We are a manufacturers of quality industrial roller shutters. We pride ourselves in producing and providing premium products custom manufacturing, repair, installation of roller shutters. Maximum Roller Shutters is a family owned and operated company. Manufacturing onsite in Doveton, Australia with quality Australian made products. We have built our business on premium products, knowledge and dedication to providing a great service. Experienced in providing roller shutter doors for all requirements. We offer a free consultation with our experts to discuss your requirements and tailor the best solution for you. Copyright © 2019, all rights reserved. Website by Tech Heads.